This book contains the Autobiography of someone who, because of her Eucharistic devotion deserved to be called Mother Sacramento. Micaela wrote this book by order of her Spiritual directors, St Antonio Maria Claret and Fr Felix G. Cumplido. She was asked to write down the favors she received from heaven and the account of penances, documents that complete the facts in the autobiography. The prologist says that it is an impressive testimony of the fact that the ‘Charism of Micaela was the Charism of the Eucharist’. 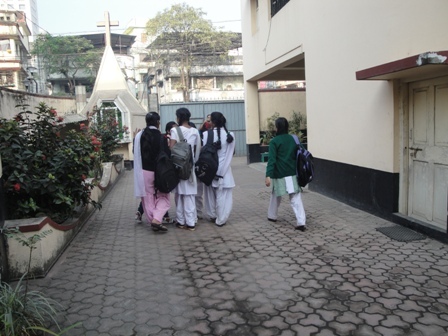 Journey – General Plan of Formation, AASC, translated by Caridad Paramundayil, AASC Formation, a gift and task for all of us religious, is not only a duty, but also a right so that the identity of Sisters Adorers may not be an empty name, but real and true as Micaela wants. 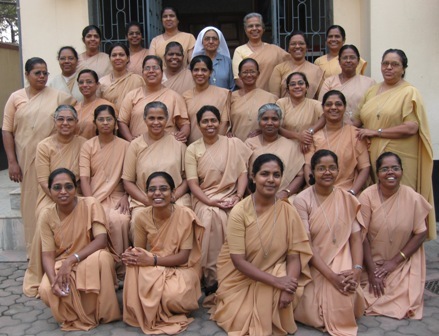 This Formation Plan of Sisters Adorers has been approved by the XXVIII General chapter held in Rome in September – October 2005. It is a pilgrim’s guide that points out the goal – objectives – a new style of journeying together; the possible obstacles in this journey, the helps that are being offered to us in it – mediations and instruments – the wells where we turn in order to satiate our thirst and to refresh the sweat of an exhausting journey. Eucharist, Life of Service. By Maria Milena Toffoli Moyano, AASC and translated by Caridad Paramundayil, AASC Milena Toffoli, a great authority on the writings and documents of St Maria Micaela takes us deeper in to the spirituality of Micaela. This book helps to enter the heart of Micaela on barefoot and will keep on grasping what it means to Adore in spirit and truth. It urges us strongly to turn our attention to the responsibilities of Christian community; the re-interpretation of faith and the ways of living it. Twenty three Martyrs Adorers. Translated by Caridad Paramundayil, AASC This book is a narration of the events related to the death of 23 Sisters Adorers during the Spanish Civil War of 1936 – 1939. The content of this book is the historic realities lived by Sisters Adorers and of their testimony of faith during the war. It consists of two parts. 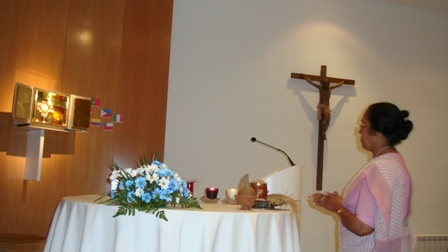 The first one – Life for Christ – is an account given by Srs Ana Duarte and Maria Josefa Perez Hervada. The second part – Manuela Arriola of the sacred heart and her 22 companions Martyrs – is the offprint of the book prepared for the beatification of the 498 martyrs who share the cause with Sisters Adorers. It is the description of the facts about the 23 Martyrs Adorers. 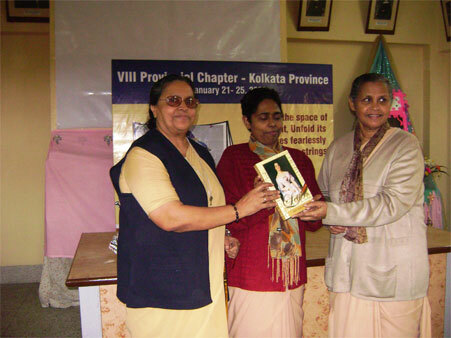 Treasured memories bring the cherished dream of the Adorers in India. 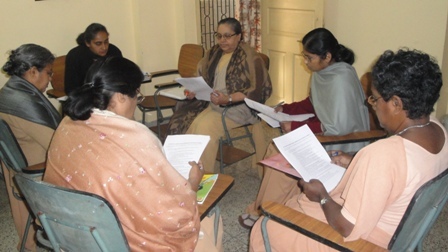 In this Sr Caridad Paramundayil AASC invites us to take a joyful ride in to the past, around the golden years of our presence as Adorers in India. The book explains the Spirit and the living testimony of Sisters Adorers from Europe, South America and Japan. It clearly mentions the providence and continuous guidance of the Lord and from His people, who appeared on the scene like angels to help the Sisters at all times as well as the difficulties and hardships they faced to make this dream – the existence of Adorers in India – a reality. This book is the life history of St Maria Micaela, Foundress of Sisters Adorers. Glancing through this book we get an idea of the being of Micaela as we journey from her birth to death. Letters – St Maria Micaela Vol.1 Part 1. Edition prepared and Annotated by Pillar Uribarri Diaz AASC and, Fabiana Pascual Rodriguez, AASC and translated by Caridad Paramundayil, AASCThis book presents us the letters of St Maria Micaela in a chronological succession. This edition comprises 215 letters, dated between the years of 1835 and 1850. It is only a small portion of the total letters preserved in the central achieves in Madrid, Spain. This volume covers three parts; the first goes with 120 letters of family topics, besides the situation of the house of Vega Del Pozo, the relationships and activities of the nobles of the XIX century Spain. The second and third parts combine a total of 95 letters written beginning with the “first inspiration” that took place in the St John of God hospital after her encounter with the “girl of the shawl”. Letters – St Maria Micaela. Vol. I Part II. Edition prepared and Annotated by Pillar Uribarri Diaz, AASC and, Fabiana Pascual Rodriguez, AASC and translated by Caridad Paramundayil, AASCThis book contains the letters St Maria Micaela has written or those written on her orders, between the years 1851 and 1855 under the title; ALONE, CARRYING OUT THE WORK. In her correspondence one can discover the richness of her life, infinitely committed to help all those who approach her, but in a particular manner to her work, according to the plan of God. The Spanish edition of this book is prepared and annotated by Srs Pilar Uribarri Diaz AASC & Fabiana Pascual Rodriguez AASC. 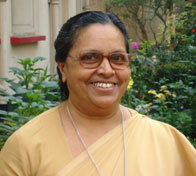 The contribution of Sr Caridad Paramundayil AASC is something remarkable as she has done the English translation of the book. This book brings a great message that Saints were not born as Saints. They were LIKE YOU AND ME. They began like all of us, answering the call of God. It gives a clear picture, how the Lord made Micaela understand that “I want YOU in my work” and how he prepared her to answer His call.